A Century Destroyed: Thoughts on the Legacy and Horror of ‘The Great War'(Part 1). 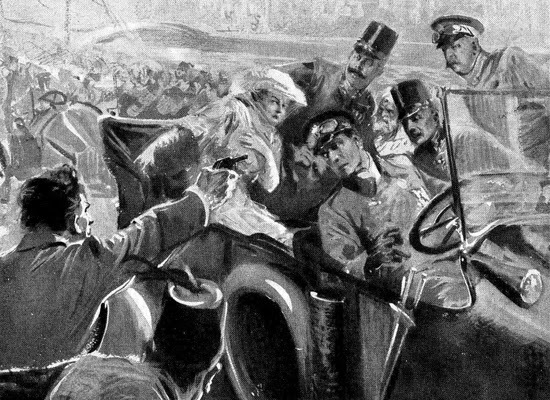 Artist’s drawing of the assassination. Austro-Hungarian Archduke Franz Ferdinand. This assassination set into motion the foreign policy decisions of Austria-Hungary, Russia, Germany, France and England that led to the outbreak of the Great War during the summer of 1914. The Great War was in no way a ‘good war’. Greatness signified scale, not quality. The horror of the war made people hope that it would be the ‘war to end all war.’ In fact, the opposite was the case. The Great War would in actuality be overshadowed 20 years later by an even more extreme conflict in the Second World War. But to understand the Second, we must investigate the First, because without it, the Second would not have taken place. With the 100th anniversary of the outbreak of the The First World War approaching, I think it only right to put together a series of blogs devoted to this catastrophe of human folly. There are only handful of people living today who were alive during the First World War, and most were tiny children at the time. All those who fought in the war, and lived to tell the tale, have long since passed on. For the vast majority of us today, the war lives on only in written memory and cultural imagination. Ironically though, the war can seem completely unimaginable. The sheer scale of the war for anyone under 80 years old (who can remember the even more massive Second World War) is beyond reckoning. 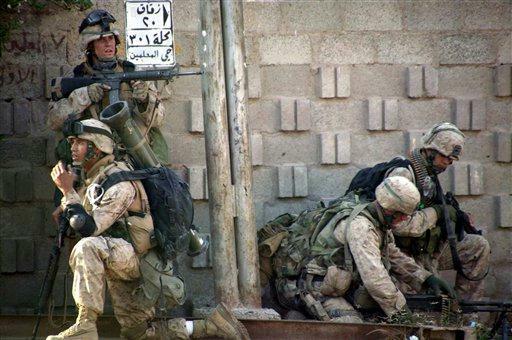 Since 1960, the Western way of war has become localized and specialized; like much else, war has become professionalized, mechanized, and corporatized. For my generation of Americans who have not been a part of the military (the vast majority of us), war can seem remotely distant; both geographically, and emotionally. Statistics can paint the picture. Numbers will provide us perspective. You eat beside the dead; you drink beside the dead, you relieve yourself beside the dead and you sleep beside the dead. People will read that the front line was Hell. How can people begin to know what that one word – Hell – means. 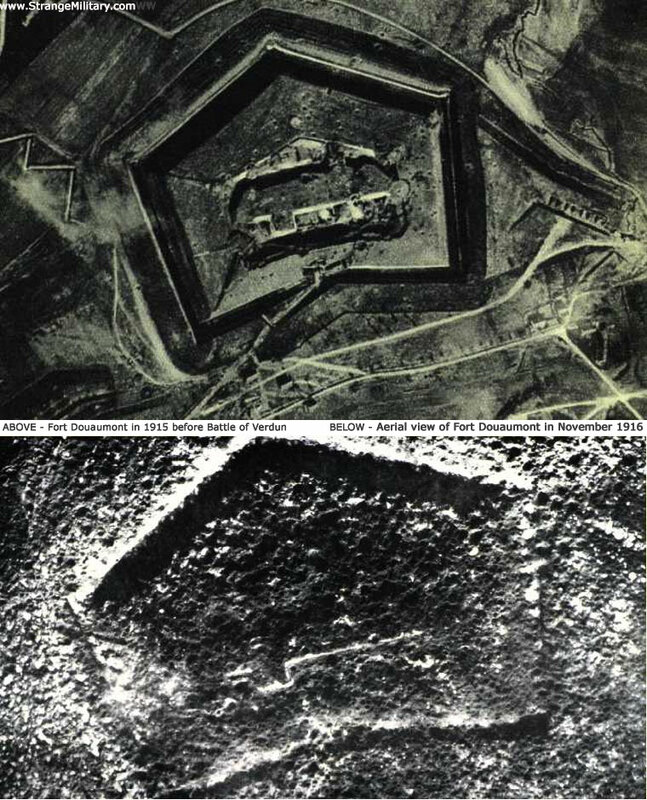 Aerial photo of Verdun fort before and after battle. that is about the number of Americans killed in The American Revolution, The War of 1812, The Mexican-American War, The First World War, The Second World War, The Korean War, The Vietnam War and the Wars in Iraq and Afghanistan….COMBINED. One battle, Ten months, 700,000 dead. The First World War would have a thousand more battles, and would rage for over 40 months more. 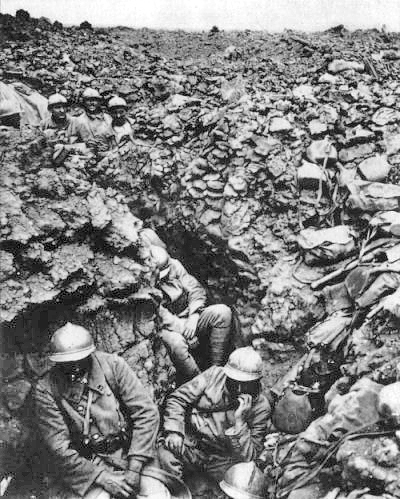 Those men who died at Verdun would be joined by 9 MILLION others. It is difficult to wrap your mind around such suffering. This war’s blood-letting would form our world. In the coming weeks, we will see how.